We provides whois database of newly registered domains of Brazil for $19/month. Each day you will receive newly registered domains with whois informations, Each whois record will contain all parsed fields of the domain's WHOIS information along with it's contact details like Registrant’s name, address, email, fax and telephone numbers etc. 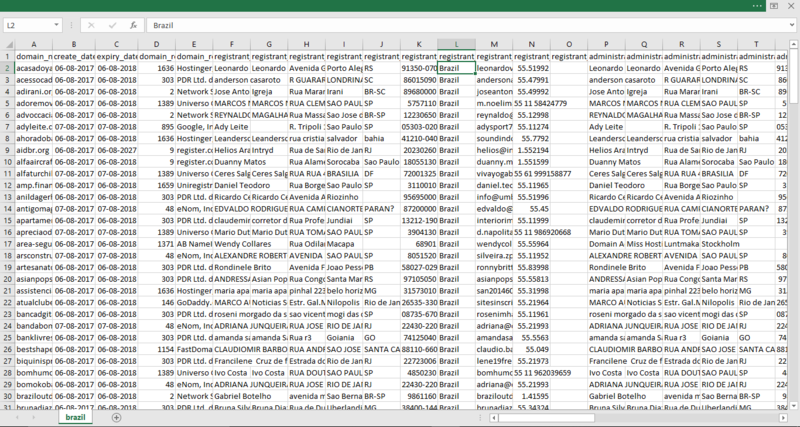 If you want Bulk Whois Database of BRAZIL, than we have Database from March-2012 to till date 21,31,556 domains with whois database, Get the compplete whois database of more than 2 million domains for $299 only.